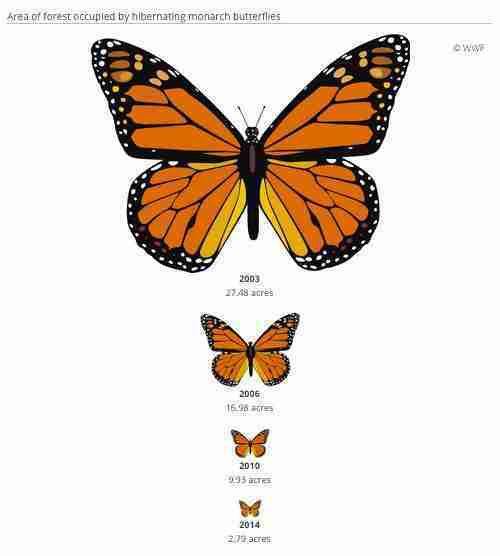 Monarch numbers are up - but not by that much. Numbers of the orange and black butterfly species at their winter homes in Mexico were at an all-time low last year, covering just 1.65 acres of land in the same pine and fir forests they've been occupying for millions of years. This year, good news: the butterflies rebounded, to cover 2.79 acres, according to a census by Mexican environmental officials. Last year's record low prompted the Center for Biological Diversity and the Center for Food Safety to file a legal petition requesting Endangered Species Act protection for the monarch and its habitat. The U.S. Fish and Wildlife Service is currently considering listing the species. Now, the World Wildlife Fund says that protection is still sorely needed, as, despite the increase, monarch populations are still low. "Of course it is good news that the forest area occupied by monarchs this season increased," Omar Vidal, head of the World Wildlife Fund in Mexico, told the Guardian. "But let's be crystal clear, 1.13 hectares [2.79 acres] is very, very low, and it is still the second-smallest forest surface occupied by this butterfly in 22 years of monitoring." When looking at the monarch's historic range, the increase is less impressive. In 1996, the butterflies covered more than 44.5 acres in the same region. 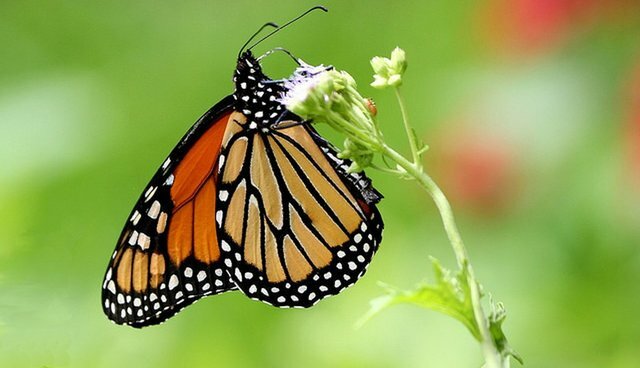 Extreme weather and drought can kill large populations of monarchs, while the loss of milkweed, the insect's main food source, to croplands hurts their chances for survival. See this page for information on how to help harbor monarchs so they can make it to their warm wintering grounds in Mexico.